Vegetable Garden Seeds are the basis of all vegetable gardens. And as much as I hate to admit it, it’s true. I don’t like planting my vegetables from scratch. I prefer buy starts from my local nursery and transplant them into my backyard vegetable garden. I think that it’s quicker and easier to do this. But if you have the time and patience then there’s nothing wrong with making the extra effort. And when you think about it…you’ll be getting more physical and mental exercise, and this is always a good thing. Another benefit of growing your own vegetable seeds and plants is that you’ll have full control over your food. Now having that control may not be a big issue for some people but for those of us who have children….we know how careful we are with the food we feed them. And also…if you’re trying to go organic, then seed starting should be the preferred method of growing a vegetable garden. You see…organic gardening begins with organic seeds. If you use any seeds other than organic then your garden is not an organic garden (in reality). Do you have a creative and innovative spirit? You can even practice rare seed growing techniques that are quick, easy and fun to do. It’s a great way to expand your mind and knowledge. Well that’s ok as well. Not everyone has the time and energy to be creative (I tend to close my creative eyes from time to time as well). So in this case you can just keep it simple and real. You can either…sow seeds indoors or sow seeds outdoors. So sowing your vegetable garden seeds is still a good way to start and maintain your vegetable garden. (This is something that I always remind myself of). If you don’t like starting out seeds and waiting for them to sprout then it would be better to buy starts from your local nursery. Simply transplant them into your garden. 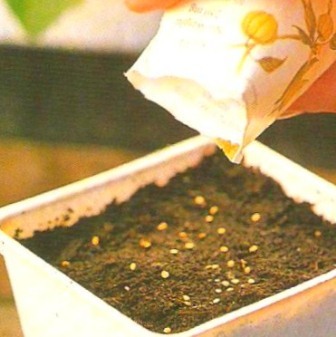 But if you have time and space (both indoors and outdoors) then you can grow seeds. You can even use your seed starting abilities as conversation starters. Better than that…you can start your own mini nursery. Sow the seeds and display them with the price at which you’re selling them at. Then people like me may come along and purchase them. This would be a great way to put money in your pocket. Start small first. Don’t put too much money into this business venture at first. Just see how it goes for a couple of months. If all goes well and persons are interested (meaning that they are willing to give you their hard earn money) then maybe you could invest a little more. Whether you sow the vegetable garden seeds for your personal use or maybe to earn an extra source of income I wish you the best of luck. Finally…take time to click on the links above. They’ll take you to more pages about vegetable seeds.